Your monthly energy bills can feel like Mother Nature is fighting for your money. Fortunately, it doesn’t have to be that way. Here are some smart things you can do to help reduce your energy bills and save money every month. Your home windows can let air flow in and out of them when air should not be flowing. In fact, drafty windows that let air escape can increase your energy bills by 10% to 25%. If this is happening, its time to replace windows in your home with new, energy efficient ones. New replacement windows will keep in your cool air in the summer and your warm air in the winter. Then, your HVAC system won’t have to work so hard, decreasing your heating and cooling bills. Utility workers come and check your meters so they know how much to charge you every month, but they are human and can make mistakes just like the rest of us. However, their mistakes can be costly to you if they don’t read your meter correctly. You might notice when a huge error occurs, but you might not notice little errors that can add up. Make sure you keep on eye on your meters and compare the numbers to your utility bills to ensure they match up. Trees can become your best friends when it comes you reducing your energy bills. You can plant them strategically around your house to provide shade. This will cool off your home because the sun will not be shining in your windows all the time creating a sort of greenhouse environment. What’s even better is that you are helping the environment every time you plant a tree. Wouldn’t you love to have extra money every month? Maybe you want to get out of debt, buy a new car, go on vacation, or be able to go out to dinner more often. 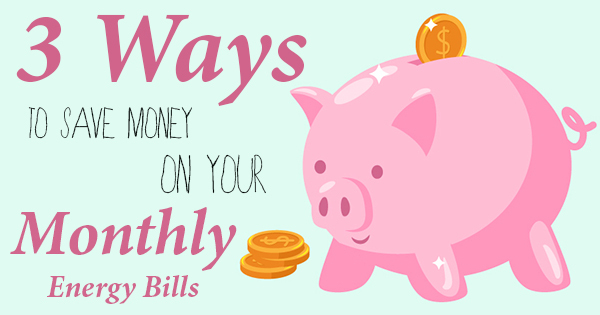 Whatever your reason, you can save some monthly money by cutting down your energy bills with these tips. When your home windows are damaged or just downright old, it’s time to start the search for new windows. Fortunately, you will find that there are a ton of options. Here’s a short list of things to consider so you can purchase the best windows possible. There are actually quite a few options in terms of materials when it comes to window frames. Each one has its own unique features and benefits. For example, vinyl frames offer a more cost-effective option, but may not have the appearance you’re looking for. Wood frames, on the other hand, bring a very classy look, but often for a higher price. Some other options include aluminum, composite, and fiberglass. The materials vary in price, durability, and longevity. There are two basic choices when it comes to glass: single-pane and double-pane. 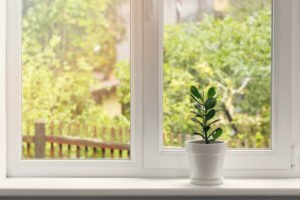 Compared to single-pane windows, double-pane windows are about two times as effective at retaining warm or cool air in your home. This means they are more energy efficient and can save you quite a bit of money month to month on your energy bills. Even if you buy the most expensive windows available, they still won’t protect your home effectively if they are not properly installed. For this reason, you should rely on window companies to ensure that they installation goes smoothly. That way you won’t need to worry about installation issues that could stem from an inexperienced technician. No two windows are the same when it comes to design. Although they have the same function, design is a huge component for choosing the right window. Your windows can be seen from inside of your house as well as the outside, and they can make a serious design statement. That being said, they should be just as appealing from the inside as they are from the outside. 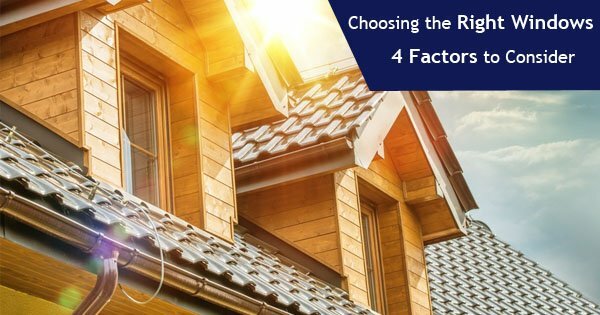 Making the decision to buy new windows for your house is a big investment, but it is one that will pay off well in the long run with lower energy bills and higher resale values. For all your window needs, contact Best Windows Inc. today. Home improvement tax credits are provided as incentives for homeowners to make home improvements that are energy-efficient. The federal government offers tax credits as a way to offset the cost of the energy-efficient upgrades. These credits come in the form of deductibles when you file your annual income taxes. According to a recent survey, more than two-thirds of homeowners are planning on remodeling their home, and if you’re one of them, make sure you consider energy-efficient remodels. You can get these federal tax credits on renovation projects like roofs, water heaters, insulation, stoves, heat pumps, heating and ventilation, doors, skylights, and new windows. New window installation is a great way to save money on energy costs. Energy efficient windows can help prevent heat loss in cold weather and retain cool air when it’s hot out. In addition, the right windows can help you qualify for federal tax credits. According to Consumer Reports, you don’t have to replace all of your windows in order to qualify for the tax credit, either. You can also claim the credit on your tax return if you installed a window where there wasn’t one before. The tax credit is usually around 10% of the cost of the replacement, and you can get up to $200 for your new windows. The credit does not include installation costs, just the price of the actual windows. Under the Bipartisan Budget Act of 2018, a number of tax credits for residential energy efficiency that had expired at the end of 2016 were renewed. These tax credits are for non-business energy property, and they are now available retroactively to purchases made up to December 31, 2017. Tax credits for all residential renewable energy products have been extended through December 31, 2021. To save money on your bills and get a tax credit, check out our Energy Star-certified windows at Best Windows. We can help you pick out the best windows for you so you can enjoy all the benefits of energy efficient windows in your home.